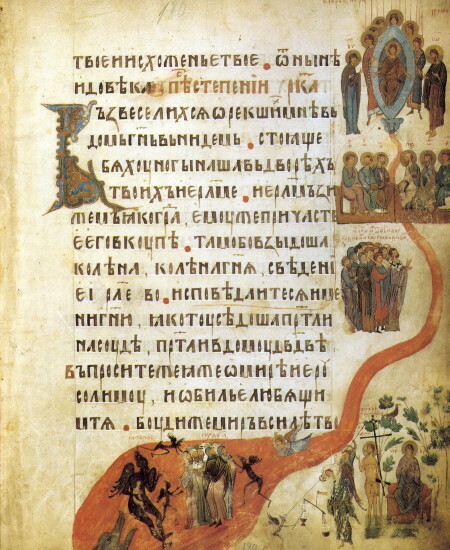 Illustration [ілюстрація; iliustratsiia]. Pictorial representation that elucidates or adorns the text of a book or magazine. Besides illustrations in the strict sense, also included are purely ornamental devices such as the headpiece, initial, and tailpiece. 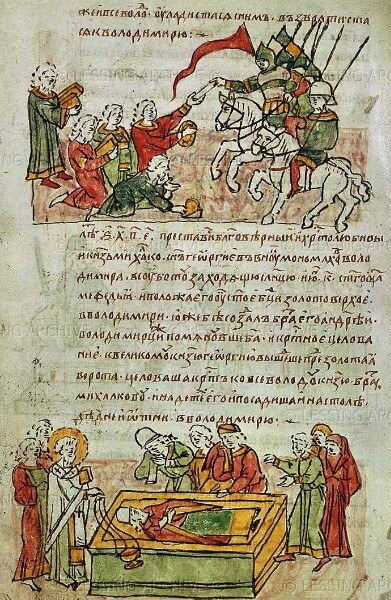 In the 11th–16th centuries, before the introduction of printing, manuscripts produced in Ukraine were adorned with illuminations. With the invention of printing, the various forms of printmaking and engravings were used first for the reproduction of illustrations in books. 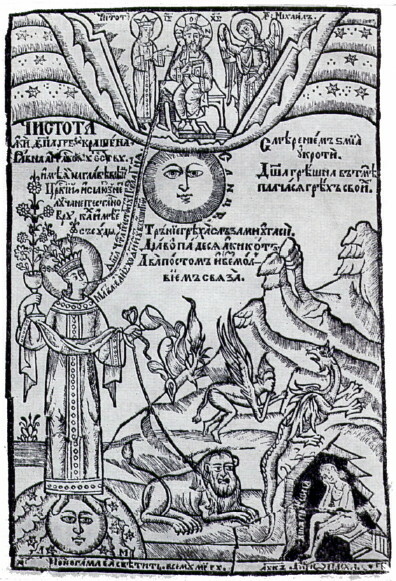 The earliest books printed in Ukraine were illustrated with woodcuts, a technique that continued to be employed by printers into the 18th century. 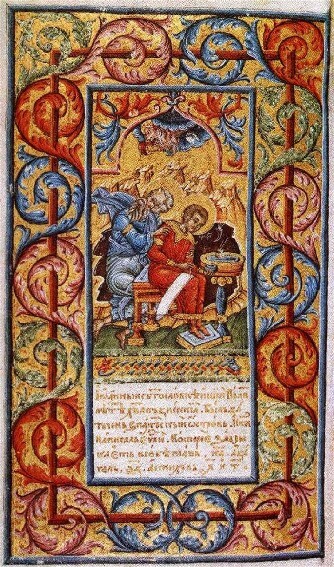 Ivan Fedorovych (Fedorov)'s Apostolos (Lviv 1574), the first book to be printed in Ukraine, contains a fine frontispiece of Saint Luke the Evangelist (most probably, executed by Lavrentii Fylypovych-Pukhalsky). The ornamental headpieces, initials, and tailpieces that appear in his books were influenced by the illuminations in Ukrainian manuscripts and the designs in Cyrillic books printed earlier in Prague and Venice, and in turn had an influence on the ornamentation of Ukrainian books. Some of the artists employed by Fedorovych were Lavrentii Fylypovych-Pukhalsky, Hryn Ivanovych, and an unidentified, W.S., (the signature on the frontispiece in the Apostolos). In the 17th century many printing presses were established in Ukraine and the demand for illustrators increased. Among the best-known woodcut illustrators of the time were Stepan Berynda, Master Illia, A. Klyryk, T. Petrovych, Master Prokopii, Ivan Reklinsky, M. Semeniv, Dionisii Sinkevych, Tarasii Zemka, Yevstakhii Zavadovsky, and Nykodym Zubrytsky. The thematic range of illustrations expanded from religious to historical, genre, and portrait. Their style was influenced by the Renaissance and then the baroque. 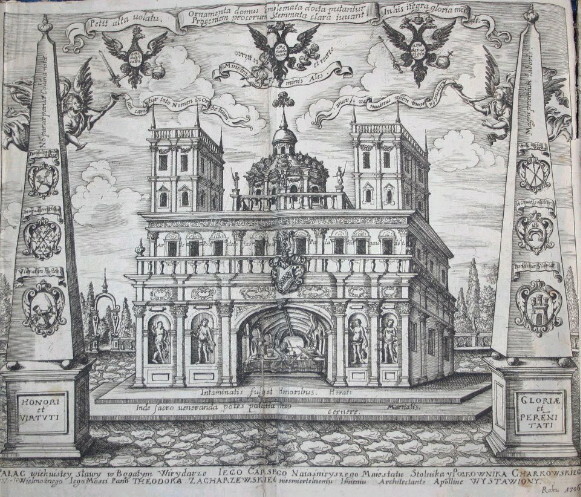 Copper engraving began to be used in book printing at the end of the 17th century and, thanks to its flexibility and precision, became the dominant illustration medium in the 18th century. Among the first engravers in Ukraine were Leontii Tarasevych and Oleksander Tarasevych (who also introduced etching into Ukraine), Zakhariia Samoilovych, Ivan Strelbytsky, Ivan Shchyrsky, and Nykodym Zubrytsky, the illustrator of Ifika iieropolitika. In the 18th century the foremost Ukrainian engravers were Adam Hochemsky, Yosyf Hochemsky, Mykhailo Karnovsky, Averkii Kozachkivsky, Hryhorii K. Levytsky (the greatest master of the century), Master Makarii, Ivan Myhura, T. Rakovetsky, Teodor Strelbytsky, and H. Tepchehorsky. Some of them excelled not only in engraving, but also in etching and mezzotint. The baroque introduced new allegorical and symbolic themes into illustrations. 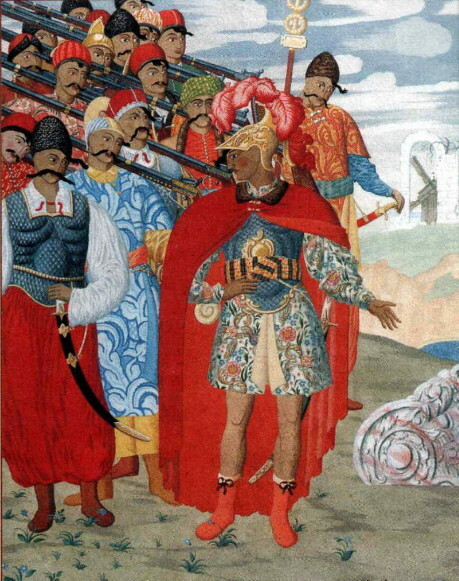 At the turn of the 17th century landscapes (by Dionisii Sinkevych) and battle scenes (by Nykodym Zubrytsky) began to appear. Spiraling branches and acanthus leaves as well as elements of folk art were employed in the elaborate ornamentation that embellished the printed page. 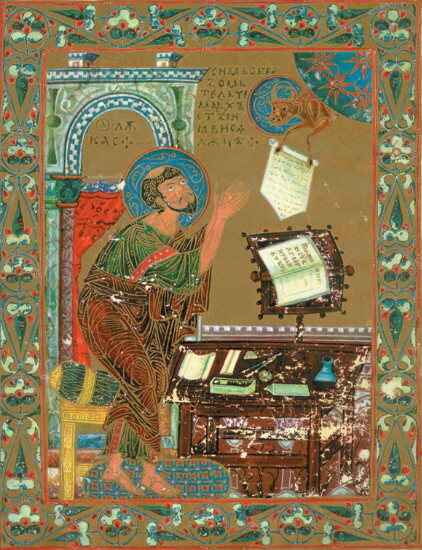 The engraving shop at the Kyivan Cave Monastery Press was the leading center for book illustration in Ukraine. Ukrainian illustrators were in great demand in Poland, Lithuania, Belarus, Moldavia, and Muscovy in this period. Towards the end of the 18th century the art of illustration was influenced by classicism. 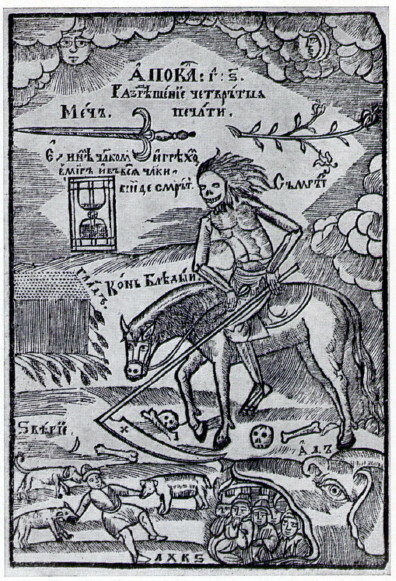 Although engraving and etching continued to be widely used (eg, by Teodor Strelbytsky), a new technique of illustration—lithography—was introduced in the early 19th century. Because it was less expensive, easier to use, and more flexible than other techniques, it quickly became the favorite medium among illustrators. Masters of the technique included Kostiantyn Trutovsky, Mikhail Mikeshin, Yosyf Svoboda, Opanas Slastion, and V. Timm. At the end of the 19th and the beginning of the 20th century photomechanical methods of reproduction were perfected, making it possible to base illustrations not only on prints but also on pen drawings and watercolors. Some of the leading Ukrainian illustrators of the 20th century are Ivan Izhakevych, Mykola Samokysh, Heorhii Narbut, Vasyl H. Krychevsky, Olena Kulchytska, Edvard Kozak, Vasyl Kasiian, Okhrim Sudomora, Borys Kriukov, Mykhailo Derehus, Mykhailo Dmytrenko, and Petro Andrusiv. Many of them have illustrated classics of Ukrainian literature. Some others who have contributed to this field are Oleksander Dovhal, Ivan Ostafiichuk, Havrylo Pustoviit, Vasyl Sedliar, and Olena Sakhnovska. Kriukov, Sofiia Levytska, and Vasyl Masiutyn have illustrated some classics of world literature. Among the most recognized modern designers of headpieces and tailpieces are Heorhii Narbut, Antin Sereda, Pavlo Kovzhun, Mykola Butovych, Kasiian, Krychevsky, Jacques Hnizdovsky, Andrusiv, Mykola Aleksiiv, and Heorhii Yakutovych. The most extensively illustrated literature is children's books and magazines. Some of the best-known artists in this area are Edvard Kozak, Olena Kulchytska, Osyp Kurylas, Okhrim Sudomora, Petro Andrusiv, Myron Levytsky, Halyna Mazepa, Petro Kholodny, Valentyn Lytvynenko, L. Dzholos, Ye. Soloviov, A. Rieznychenko, and Tetiana Yablonska.